When shopping for that new tool you just can’t wait to try out, I’m sure not many would find themselves standing at a pegboard display of hole-saws. But when you need a clean hole in the back of a cabinet, or a precision cut for a light fixture, a hole-saw is what you’re gonna use. But once you’ve cut that perfect hole, the problem becomes trying to extract the core from the hole-saw cup. Not only can it be time consuming and difficult, using a screwdriver to pry and dig can also be a bit hazardous. 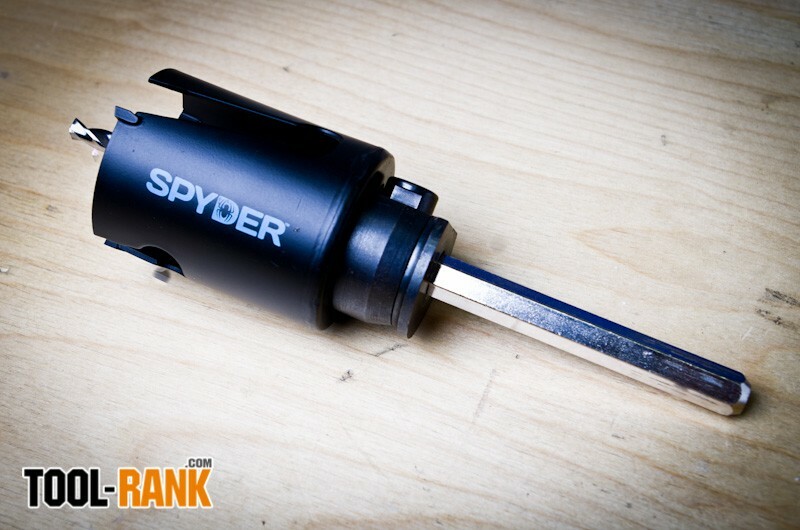 Spyder’s new Rapid Core Eject System features an arbor that makes core removal quick and easy. A simple push of a button on the arbor allows the saw cup to pull back from the pilot bit, thus freeing up the plug. The arbor shaft chucks up in your drill like a standard hole-saw, and the cup threads into the arbor and locks to prevent over tightening while cutting. Once your cut is made, you simply push the button on the Rapid Core Eject System and pull the cup back toward the drill. The plug frees itself from the hole saw in a fraction of the time it would take on a typical hole saw. I really like not having to hold a hot saw cup and pry, pry pry. 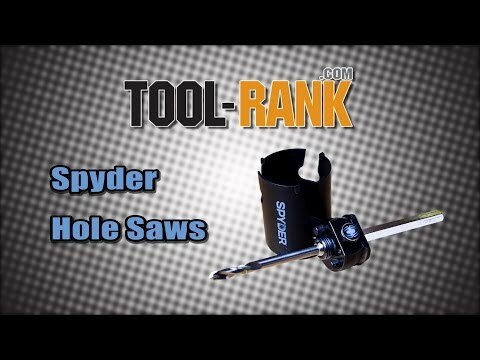 Another great advantage with Spyder’s hole-saws is the cut itself. Recently I had to install some displays that mounted with chrome polls through the ceiling. I had to drill a series of 3” holes through drywall and through the metal joists and backing above. The cutting ability of Spyder’s bi-metal hole-saw cups to go through the layers of metal was impressive. 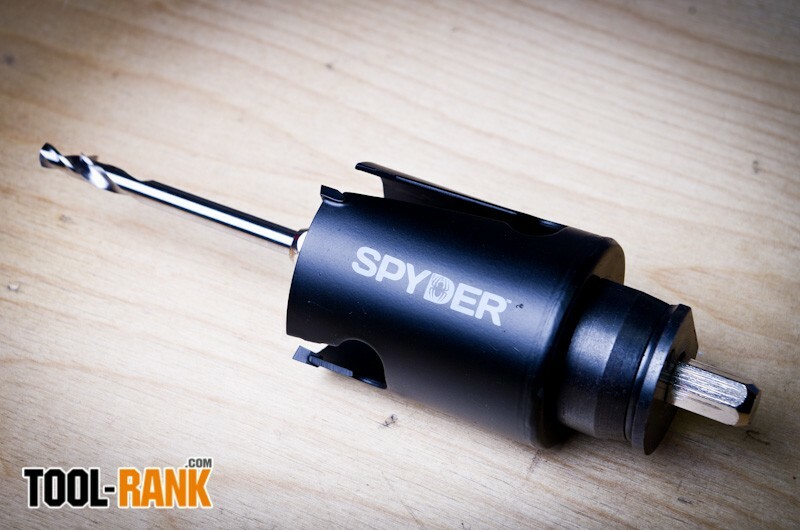 Spyder also makes Tungsten Carbide saw cups tha make quick work of wood and sheet goods; both versions are available in a range from 3/4” to 6-5/8” and will thread on other manufactures arbors—but, having used Spyder’s Rapid Core Eject System, I can’t imagine ever going back to a standard arbor. The one draw back that might come with the system is the overall length. Together the pilot bit and shaft measure 7-1/2”; and though most hole-saw set ups are long, the extra length of the Spyder’s shaft might be a problem in tight situations. Still, the system sells itself; after only a few uses on the job, everyone was asking where they could pick up the system. 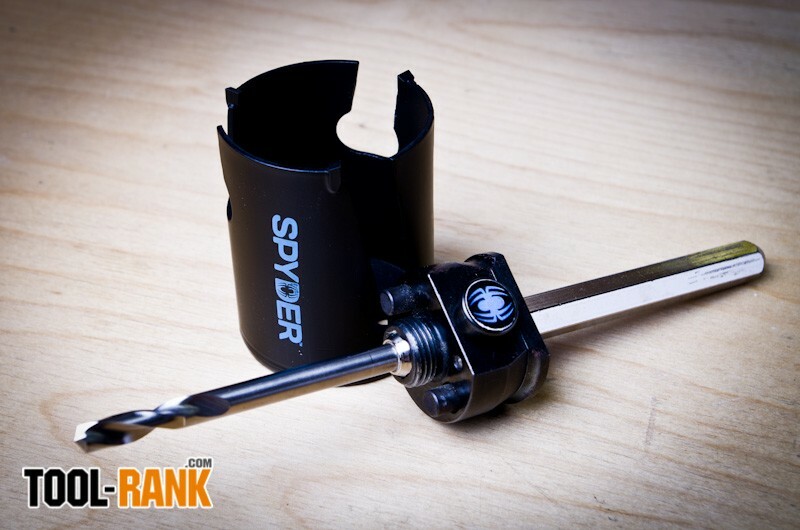 Spyder's Rapid Core Eject Arbor System is really that simple.